OQHRA represents the interests of professionals and individuals who love the sport of quarter horse racing. Along with joining a group that seeks to protect horses and their owners, our members are able to enjoy an array of benefits. Get in touch to inquire about having us sponsor races conducted within the state as well. Bring an item (or items) for the silent auction; call Patti Harris at 360-921-9535 to tell her what you are contributing to the auction. At this time, early February, 2019 there is no confirmed information about the sale of Portland Meadows. When there is news, we will post it on our website. 2019 Summer Fair and Race Meet Schedule is not available at this time. Pay your 2019 Membership Dues Now! It is time to pay your 2019 membership dues. Dues are $45.00 and please make your check payable to OQHRA. The membership application can be found on the nomination page on the website. Go to the membership tab at the top of this page to get a membership application. Print and complete the membership application and send it along with your check for $45.00 to O.Q.H.R.A. - 7479 Nelson Lane - Turner, OR 97392. Your points don't start accumulating until your dues are paid for year end awards. Get in touch with us about how we can help you. 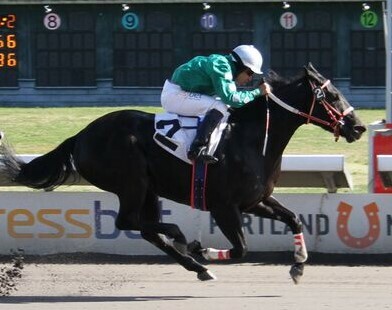 Oregon Quarter Horse Racing Association Inc. (OQHRA) is a tax-exempt, nonprofit corporation in Turner, Oregon. We are registered with the State, and are made up of people who share a common interest in quarter horse racing. We represent professionals involved with racing at tracks throughout Oregon as well as enthusiasts. Oregon. Now, under the guidance of an elected board, we continue to represent the interests of quarter horse owners, breeders, and trainers throughout the Pacific Northwest.